Do you want to open a laboratory for a pastry shop, bakery, gastronomy shop but you require training by a professional in the sector? The answer to your questions is to take the courses held by Master Baker Fabio Albanesi, founder and manager of Pregiata Forneria Albanesi with 3 points of sale in Rome, Fiano Romano and Senigallia. He also collaborates with a number of countries in Italy and overseas in Russia, the Emirates, America, Egypt and Belgium. 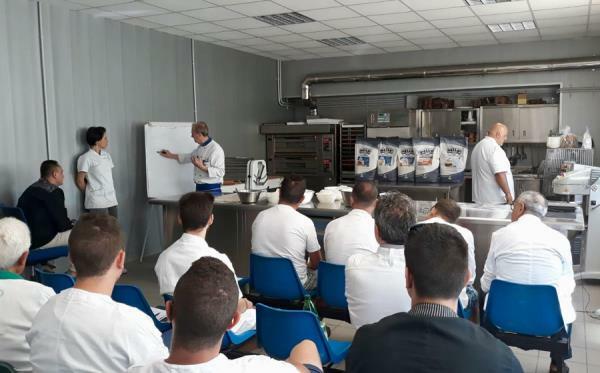 Fabio Albanesi has dealt for year with the training of those who dream of opening a commercial baker, pastry shop and gastronomy shop with a craft laboratory. Opening a craft laboratory is an ambitious project that requires excellent training, commitment and passion, as well as strong entrepreneurial skill. The advice of Master Bakery Fabio Albanesi will help you realize your dream and organize the spaces in your laboratory in the right way. A craft laboratory must respond to the precise requirements of current legislation, such as the proper size of the premises, which is essential for easing the conduct of the business. To receive further information do not hesitate to contact us.